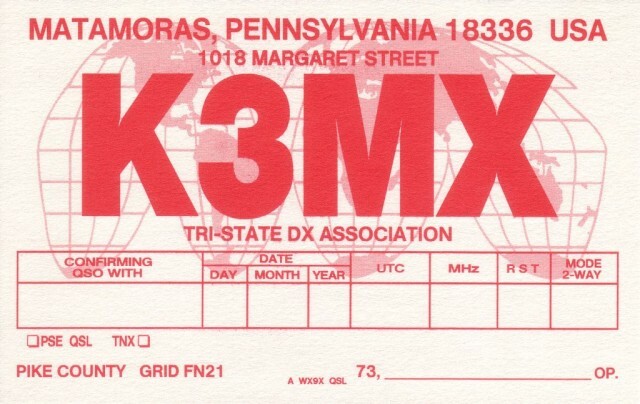 The Tri-State DX Association is located in Matamoras, Pennsylvania, near the geographic borders of New York and New Jersey. 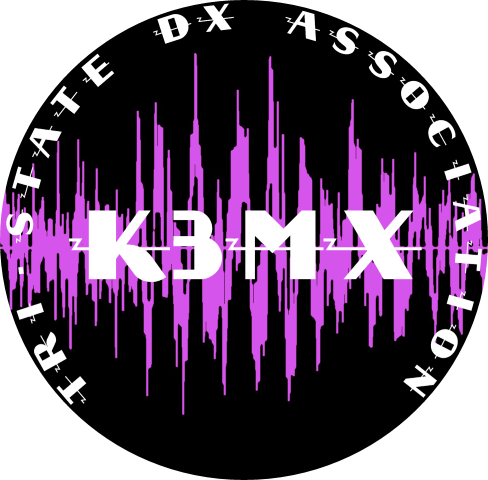 Founded in 1996, the club holds Amateur Radio Call Sign K3MX. The purpose of the club is to foster interest in Amateur Radio, particularly the pursuit of DX on the HF bands, and HF/VHF/UHF Contesting. It is our belief that by operating in challenging DX Pileup and Contesting conditions, the skills to handle emergency traffic when the need arises are significantly enhanced. It is also our aim to further international goodwill and fellowship, through courteous and exemplary operating and by engaging in good station engineering principles. We welcome both new and veteran local Amateurs with similar goals and interests to join us. Look for us in Semi-rare Pike County - Oct 8 & 9, 2016 - 59th Annual PA QSO Party!